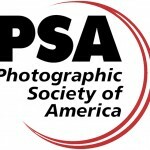 The Photographic Society of America (PSA) is a worldwide organization for anyone with an interest in photography. Founded in 1934, the Society is for casual shutterbugs, serious amateurs, and professional photographers. PSA has members in over 70 countries. Individual and photo organization memberships offer a wide variety of services and activities: a monthly journal; online photo galleries; image evaluation; study groups; courses; competitions; an annual conference; opportunities for recognition of photographic achievement and service; and discounts on photography-related products and services.